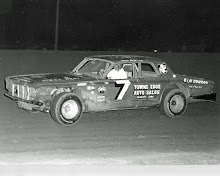 Cresco, Iowa (June 26, 1974) - A couple of Minnesota drivers turned the Ole Brua Memorial race at the Howard County Fairgrounds into “Rochester Night” before a crowd of 2,200. Wendell Kuehn and Mert Williams, both of Rochester, emerged one-two based on the point standings for the double feature events. Kuehn would win with 38 points followed by Williams with 36. Dave Bjorge of Austin, Minn. And Karl Sanger of Waterloo, Iowa, tied for third place with 35 points. In addition to $380 off the over $4,000 total purse, Kuehn took home a $1,000 diamond ring. 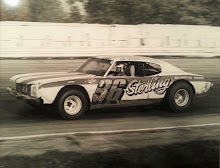 The program was held as a memorial to Ole Brua, one of the top drivers on the IMCA stock car circuit before his death in a car-train accident in Rochester, Minn., last year. 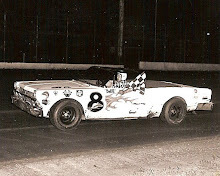 The 20-lap feature was preceded by another 20-lap event in which the order of the finish is reversed, the top finisher in the first race starting last in the second feature. In the first late model feature, LeRoy Scharkey of Rochester took the lead on the green flag but was soon overtaken by Karl Sanger on lap 4. 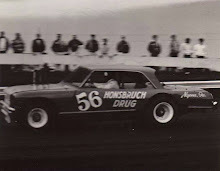 On lap 7, Kuehn, driving a ’73 Mustang, would charge by Sanger on the backstretch and then stretch his lead for the remainder of the race. Sanger would battle Dave Bjorge for the second spot and just nudge him out for runner-up honors. Mert Williams would take fourth and Lynn Idler of Ionia, Iowa, fifth. With the field reversed for the second 20-lapper, Ron Kester of Austin, Minn., would inherit the pole position and promptly take the top spot. That lead wouldn’t last for long, though, as Em Fretheim of Decorah, Iowa, would sneak by on lap 3 to take over the point. A battle for first would quickly ensue between Fretheim and Bob Shryock of Estherville, Iowa, while Willy Richardson of Cresco, would join the fray. 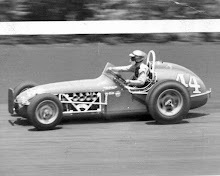 For the next eight laps, those three cars would race side-by-side until Richardson shot completely off the track, through the backstretch barrier, ending up on a Cresco residential street. Richardson would escape injury but sustain heavy damage to his race car. Following the restart, Shryock would get by Fretheim as they entered turn one and wouldn’t relinquish the top spot after that. Fretheim would also let Mert Williams sneak by him before the lap was finished. After Shryock and Williams, Kuehn would follow up his win by finishing third in the night-cap. Bjorge and Karl Sanger would round out the top-five. Heat #1 – Dave Bjorge, Austin, Minn.
Heat #2 – LeRoy Scharkey, Rochester, Minn.
1. 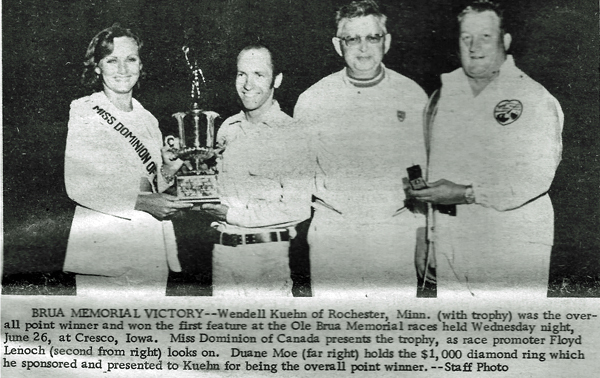 Wendell Kuehn, Rochester, Minn.
3. Dave Bjorge, Austin, Minn.